Computerised dotting machine with fine quality & great production capacity. Having 2 models of 12 M & 24 M. Production 600/hr. 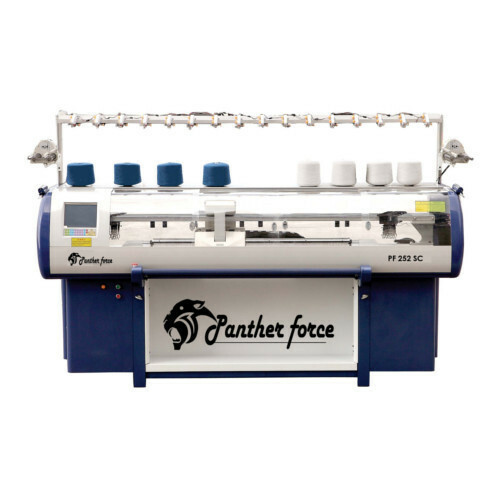 We Perfect Textile Solutions are reputed organization offers Flat Knitting Machine, Circular Knitting Machine, Knitting Machine Needle, Socks Knitting Machine, Dial Linking Machine and many more. We are one of the prominent organizations, involved in manufacturing, wholesaling, trading, importing, exporting a comprehensive collection of Flat Knitting Machine, Circular Knitting Machine, Knitting Machine Needle, Socks Knitting Machine, Dial Linking Machine and many more.